You may have noticed that clutches, especially oversized ones seem to be around in abundance lately, and I couldn’t help giving one a go seeing as they are basically a square with a zip. This little project is quick to make, suitable for beginners and good for using up left over fabrics! 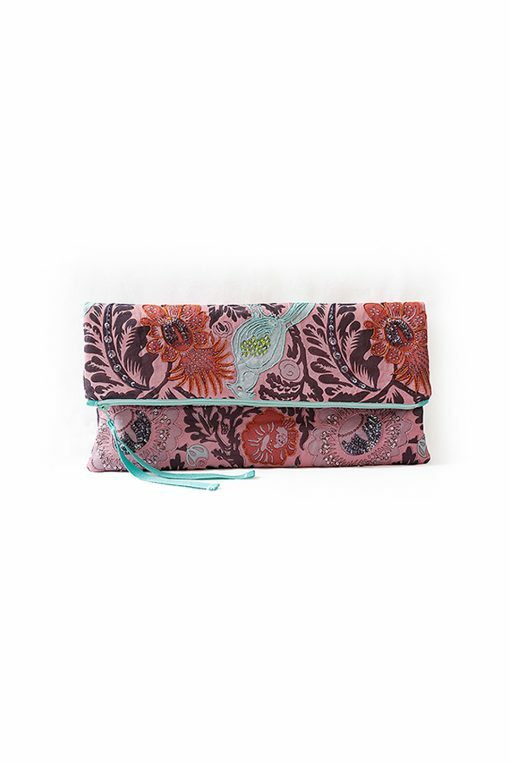 My Fold Over Clutch sewing pattern, is made in some left over beaded silk georgette, which I laid over a fused sturdy cotton. If your fabric is a little on the light side you may want to try a heavier weight fusing. Finished Size: 33cm x 33cm / 13″ x 13″ when laid out flat. 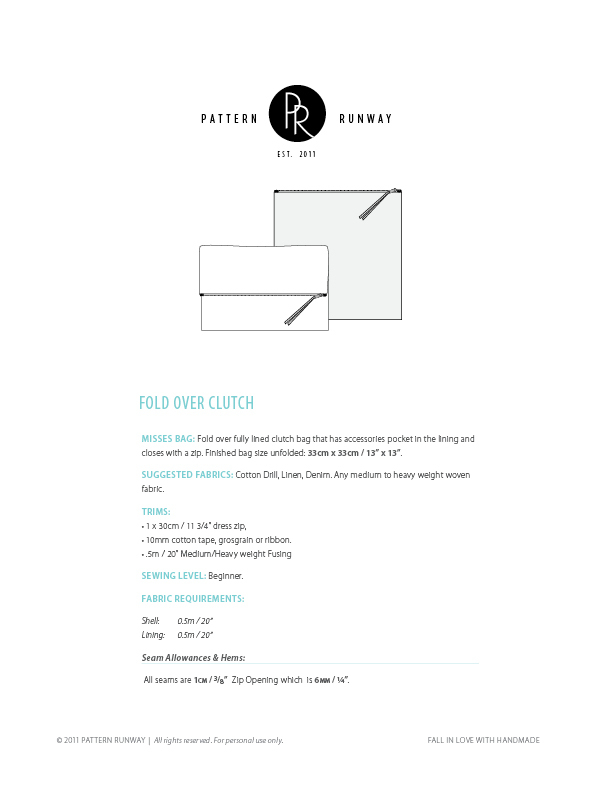 This print at home, (sized to fit both US letter and A4 International paper sizes) PDF sewing pattern comes with complete easy, step by step sewing instructions + diagrams and cutting guide. 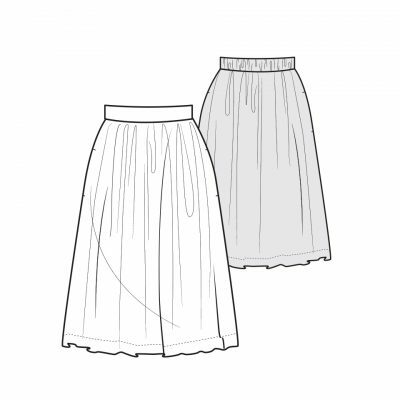 Patterns include all seam + hem allowances and lengthen + shorten provision.